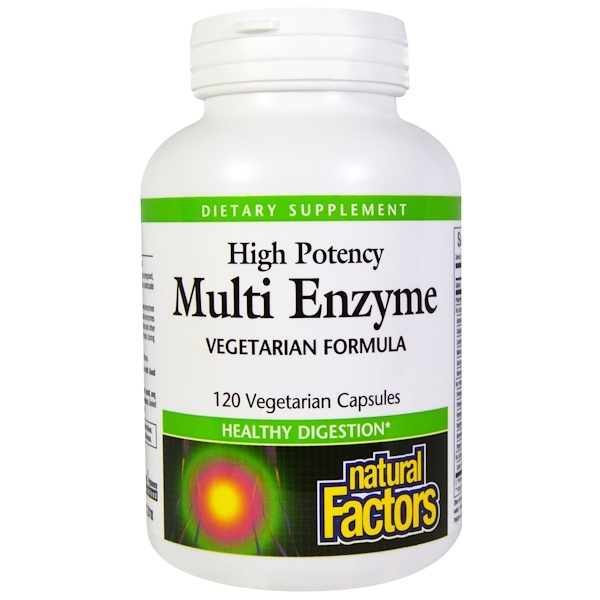 Multi Enzyme capsules are the optimal digestive aid containing a full spectrum of plant derived enzymes in a single supplement. 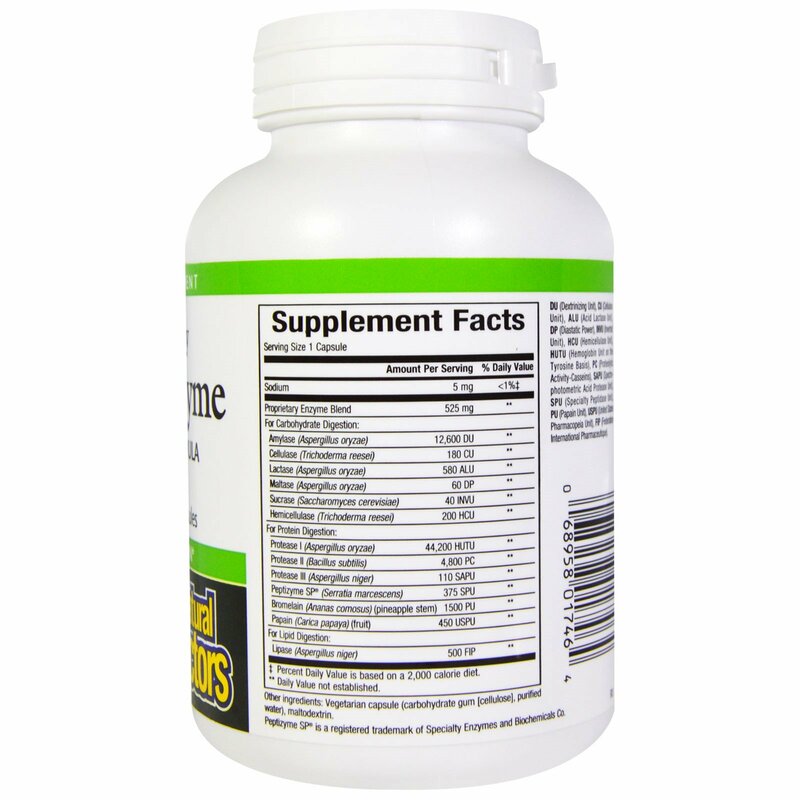 To help improve the body's absorption of nutrients, these valuable enzymes break down carbohydrates, proteins and fats. This includes starch, polysaccharides, lactose and other sugars. Natural supplementation is an excellent way to replenish enzymes lost from foods during cooking and processing. 1-2 capsules with each meal or as directed by a health professional. Vegetarian capsule (carbohydrate gum [cellulose], purified water), maltodextrin. Contains no artificial colors, preservatives, or sweeteners; no dairy, wheat, gluten, yeast, soy, egg, fish, shellfish, animal products, salt, or tree nuts. ‡ Percent Daily Value is based on a 2,000 calorie diet. DU (Dextrinizing Unit), CU (Cellulase Unit), ALU (Acid Lactase Unit), DP (Diastatic Power), INVU (Inverted Unit), HCU (Hemicellulase Unit), HUTU (Hemoglobin Unit on the Tyrosine Basis), PC (Proteolytic Activity-Casseins), SAPU (Spectrophotometric Acid Protease Unit), SPU (Specialty Peptidase Unit), PU (Papain Unit), USPU (United States Pharmacopeia Unit), FIP ((Federation International Pharmaceutique).